Are you a model or aspiring to be one? then this is the opportunity you have been waiting for. Get a CERTIFICATE in MODELING!!! 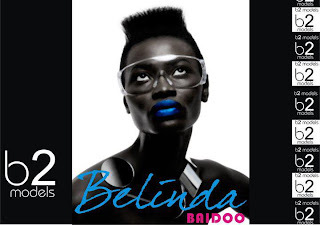 Admission to b2modeling school one on one with super model BELINDA BAIDOO who will let you know all the secret you need to know about the modeling industry. Professional Photo Posing and Movement. Public Speaking Beauty Pageants e.t.c. Register now open till 15th of November 2012. Tel +233 200 794 211 or +233 302 780 084.